Superstar musician Davido,owner and founder of Davido Music Worldwide is hosting his end of the year Concert tagged ” City of David” at Eko Atlantic in Lagos. The concert has earlier suffered a set back after he accused the management of the venue of denying his initial approval to use the venue. Davido, his crew and other Popular Nigerian artistes have been booked to thrill and wow fans at the event. 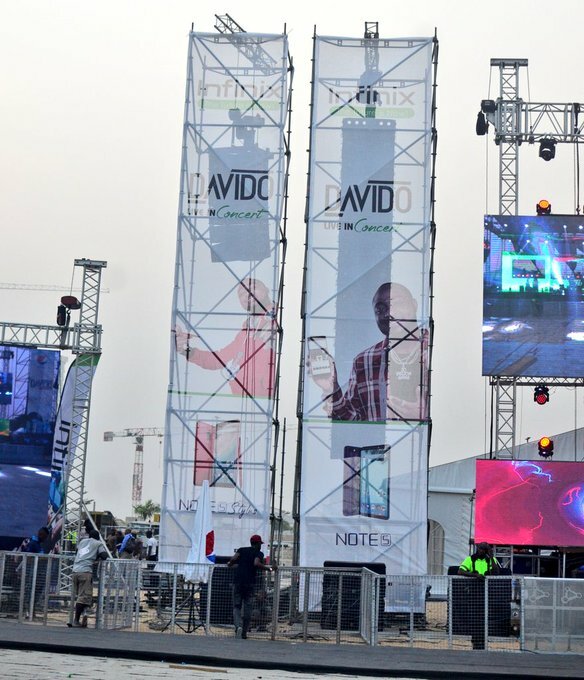 This year Concert is sponsored by Infinix and other notable brands in Nigeria. The event is currently underway and I will be giving you live actions on how it’s going down there at the venue.